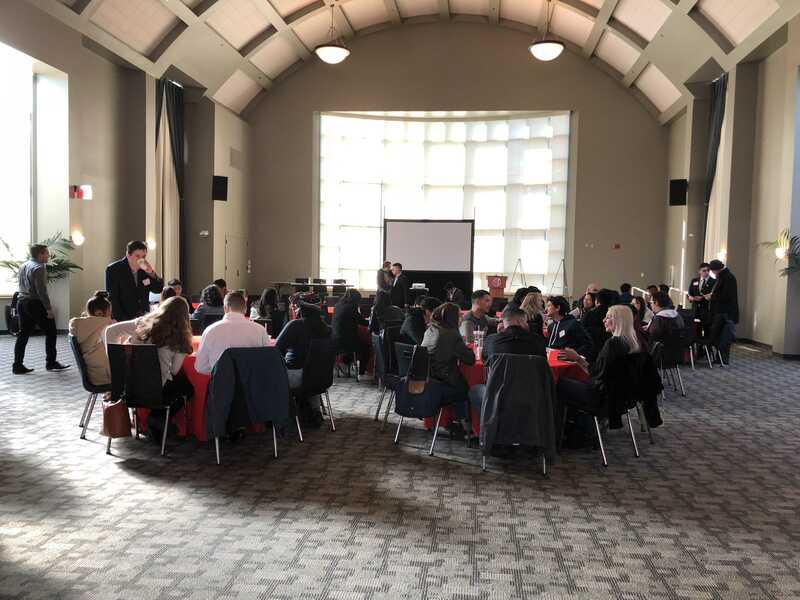 The Los Angeles division of the American Planning Association held its 12th Annual Student Symposium at CSUN on Feb. 24 to discuss the significant impact of urban planning in the community. Urban planning students from schools such as UCLA, USC and UC Irvine came to campus to listen to and network with various professionals in their field. The conference focused on three topics: housing, environment and transportation. The theme: Social Justice in Planning. Each speaker came up to present their research and personal stories on issues related to city planning and the effects that city policies have had on underserved communities. Each presentation brought up varying topics throughout multiple aspects of urban planning, but every presenter encouraged the students in the audience to combat the inequity and injustices by getting involved in local legislation. The housing panel discussed issues such as homelessness and the struggle to find affordable housing. Each presenter shared their experiences working with individuals and families struggling to pay for or find a home. One panelist, Jonathan Pacheco Bell, was a Land Use Regulation Planner at the LA County Dept of Regional Planning. Bell presented his experiences in Florence-Firestone with the Medinas, an immigrant family from Mexico who lived in an informal housing unit built in their backyard. They were no longer able to pay for their actual house after the father, the primary breadwinner of the house, died on his way to see family back home. Bell tells of his experiences with them and how difficult LA zoning laws made it for the family keep a home they can actually afford. The environmental panel discussed the sustainability aspects of urban planning from a social justice standpoint. Throughout the panel, each presentation had a recurring theme of environmental justice. Environmental justice, according to panelist and CSUN urban studies and planning alumni Yvette Lopez-Ledesma, is the fair treatment and involvement of people of all backgrounds concerning development and enforcement of environmental laws. Each presenter displayed their research and work contributing to this principle. Lopez-Ledesma, a Pacoima native, talked about the environmental injustices in her hometown. She described the lack of sustainability in her town through the absence of parks and public space. According to her presentation, Pacoima has one acre of parks for every 1,000 residents. The national median for parkland is 13.1 acres per 1,000 residents according to the Trust for Public Land. These encounters led to her involvement in Pacoima Beautiful, a grassroots program characterized by community beautification projects. To finish her presentation, she encouraged the students in the audience to be proactive in their communities to help promote environmental justice. The transportation panel discussed their efforts toward implementing the Active Transportation Program, an initiative to increase the use of biking and walking as modes of transport. Each panelist had something to contribute promoting ATP such as logistics, legislation and outreach. However, one of the highlighted challenges towards implementing ATP, is legislation. According to Christopher Tzeng, the Transportation Program Manager for the Western Riverside Council of Governments, uncontrolled, rapid urbanization is a major obstacle to the growth of public transportation. Tzeng talked about having to talk to different communities in Riverside county to promote ATP. The symposium had a varying array of speakers, each bringing a unique experience from their profession. But the overall message it served to students was to be more active in changing unjust planning laws and building the better world they want to see.